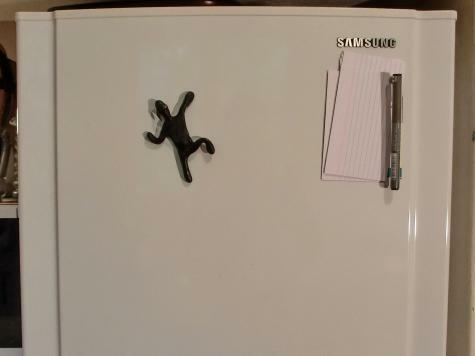 We made a ninja fridge magnet out of Plastimake. This project requires a combination of techniques that we've outlined in previous examples. We started by colouring some black Plastimake using the Plastimake Colouring Kit. 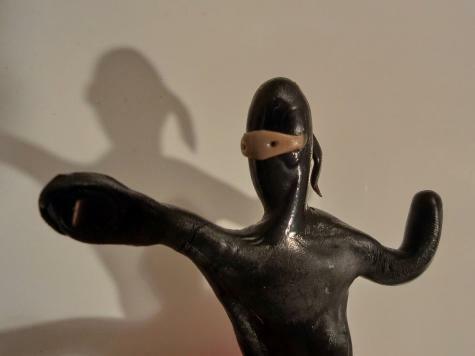 Then we formed the black Plastimake into a figurine, as described in this article from March last year. Before the figurine had fully cooled we embedded a small Neodymium magnet into its right hand so it can hang onto the fridge. This is the same technique we used to make the snail fridge magnets a few weeks ago. 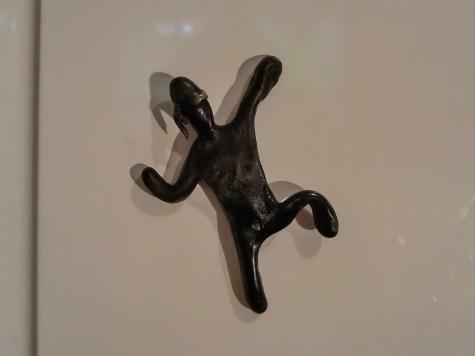 Plastimake fridge magnets are a fun and easy to make, expect to see more of them in the future!